This week, a review of the IEB6 + MIC in-ear monitors from First Harmonic and the debut of a new segment we like to call “Stuff We Saw on TV”. Of course we bring you all the tech news and shenanigans you’ve come to expect from the best tech-themed podcast on this or any other galaxy. Thinksound, the eco-friendly headphone manufacturer, has updated its flagship series of earphones with the release of the Rain2 and El Kaiser has a review. Have you ever dreamt of taking a musical journey back in time AND to another country? No. Okay, this is a bit awkward. Well, anyway, J.D. tells us about a sites that will let you listen to radio from various decades and a multitude of countries. This week I took a critical listen to two relatively high-end in ear monitors from Utah-based RBH Sound and England’s Bowers & Wilkins, both well known residential and commercial speaker manufacturers. 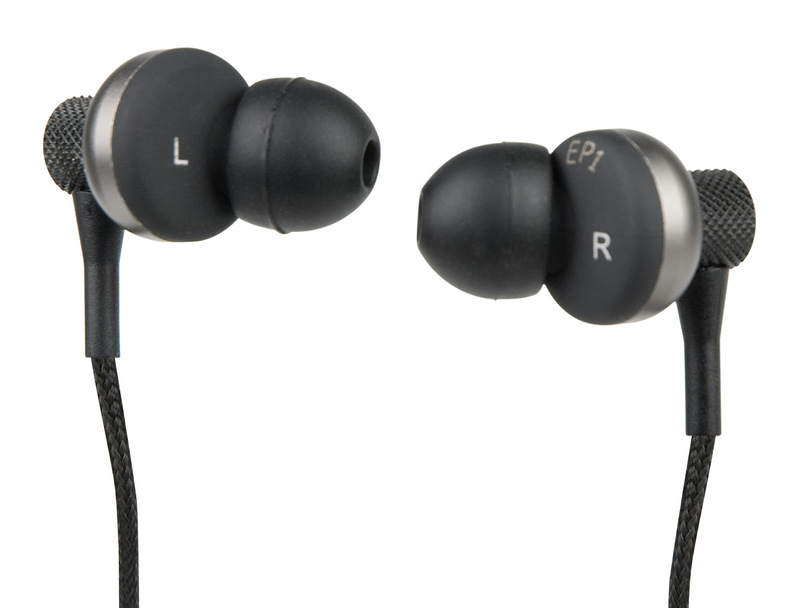 RBH Sound claims the EP1 earphones deliver “a wide sound stage free from outside noise and interruptions”. While I found the passive noise cancellation especially good once the earphones were properly inserted, the soundstage was far from expansive. The EP1s sport aluminum housings, a gold connector jack, and a not so tangle-free cloth cord. A sturdy protective carrying pouch with a cord clip, a set of Comply foam tips, and silicone cushions complete the package. The $149 dollar EP1s don’t feature a microphone or function controls but RBH Sound’s EP2 will offer those options — for $30 dollars more. Just like their over-the-ear headphone cousins P3, P5 and P7, the C5 earphones from Bowers & Wilkins are sleek and stylish with a unique and modern design. They feature a proprietary cushioned loop that is designed to rest securely in the inner ridge of your ear instead of wrapping around the ear but I could never get a proper fit. The C5s feature a tungsten design and a Micro Porous Filter, essentially hundreds of microscopic steel balls that act as a sonic diffuser to open up the sound and improve the listening experience. I found the tiny ball bearings did neither. The sound stage remained fairly closed but more open than that of the EP1s. 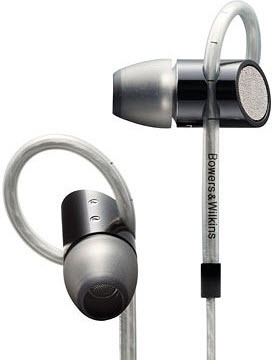 The Bowers & Wilkins $179 dollar earphones have a microphone with basic function controls for music and calls, replacement silicone tips in various sizes (no foam cushions) and a small padded carrying case. While both the RBH EP1 and the Bowers & Wilkins C5 earphones are well constructed, you can easily find better sounding (and cheaper) offerings from ThinkSound and Logitech UE. Be sure to listen to episode 76 of Pop Tech Jam (‘The Desolation of El Kaiser’) for my full review. I have to get something off my chest before getting too far along with this review. I beg you not to judge me too harshly. Okay, here goes…. I don’t care how eco-friendly the new On1 supra-aural studio monitors from Thinksound are. I honestly don’t. 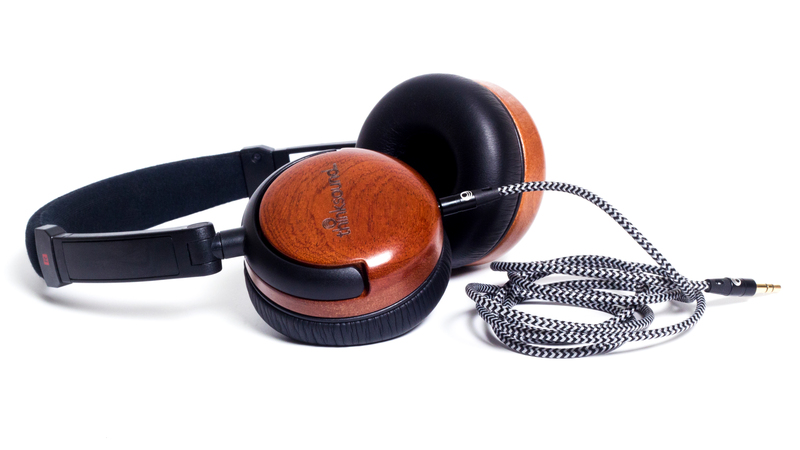 Yes, they have a hand crafted natural wood casing and the company’s mission is to create headphones with the smallest eco-footprint possible by using renewable resources and recyclable materials but for El Kaiser, that‘s all just icing on the cake. Now before you start flooding my email inbox with strongly worded messages of disappointment and anger, let me just say for the record that I care DEEPLY about our planet and respect the effort of companies like New Hampshire based ThinkSound for minimizing their impact on the environment. I do my best to limit my impact as well but when you get right down to it, it’s all about the sound for me. It’s ALWAYS about the sound. In that regard, the On1 headphones do not disappoint. They are both earth-friendly and great sounding headphones. Included with the On1s are two Kevlar reinforced, tangle-resistant cables. One of the cables is a standard cable with 3.5mm stereo plugs and the other has a single button microhone and music control for iDevices. The cables connect to the right ear cup as opposed to the left, which is what appeared to be the default for cans with single stereo cables, and it takes some getting used to. Another minor quibble is that ThinkSound did not include a ¼ inch/6.3mm adaptor to use on home stereo equipment. Yes I have a drawer full of them but still, it would have been nice to have one that matches. The headphones are light, stylishly designed and surprisingly durable. The On1’s padded metal headband is flexible and can be stretched flat or coiled tight but will spring back into shape allowing for comfortable extended listening sessions. The soundstage is generous and the overall sound is accurate and transparent with an especially well articulated low-end. If the song calls for a tight bass sound, then that’s exactly what the On1s deliver. If the track wants to bring the boom, it’ll bring the boom too. The high end is crisp, not harsh, which I suspect will smooth out after a breaking in period and the mids are smooth and clear. At $299 dollars, ThinkSound On1s are obviously an investment in quality sound and not a disposable pair of cans you toss in your bag for a commute. According to Aaron Fournier, President and CEO of Thinksound, the company developed their own plastic molds instead of using existing off the shelf designs from their manufacturers in China, which contributes to the higher cost. The On1 headphones are exceptionally good headphones for all styles of music and while not inexpensive I can say with sincerity I have paid more for worse sounding headphones. Listen to my take on the Thinksound On1s and another set of eco-friendly headphones from manufacturer House of Marley on this week’s episode of Pop Tech Jam.